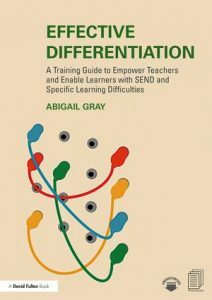 Senworks is delighted to announce the publication of ‘Effective Differentiation for Teachers’ by Abigail Gray. Packed full of prompts, activities and practical ideas, this accessible and realistic guide provides teachers with a rich portfolio of strategies to ensure inclusion, and promote the learning of Special Educational Needs (SEN) pupils in the mainstream classroom. 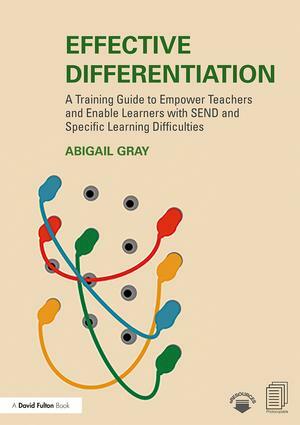 Unpacking SEN, demystifying jargon, and clarifying policy and good practice, Effective Differentiation encourages its reader to take a proactive approach to developing knowledge and skills in relation to Special Educational Needs Disability (SEND). Chapters address the challenges involved in successfully differentiating teaching to meet the diverse needs of individual children, and translate current research and policy into easy-to-understand concepts, integrating these into a framework for practical application. Taking self-evaluation as a starting point, the reader is invited to think, reflect, understand and finally – do! The perfect aid for the busy teacher, each chapter contains checklists and photocopiable tables which readers can use to record and track their own progress.